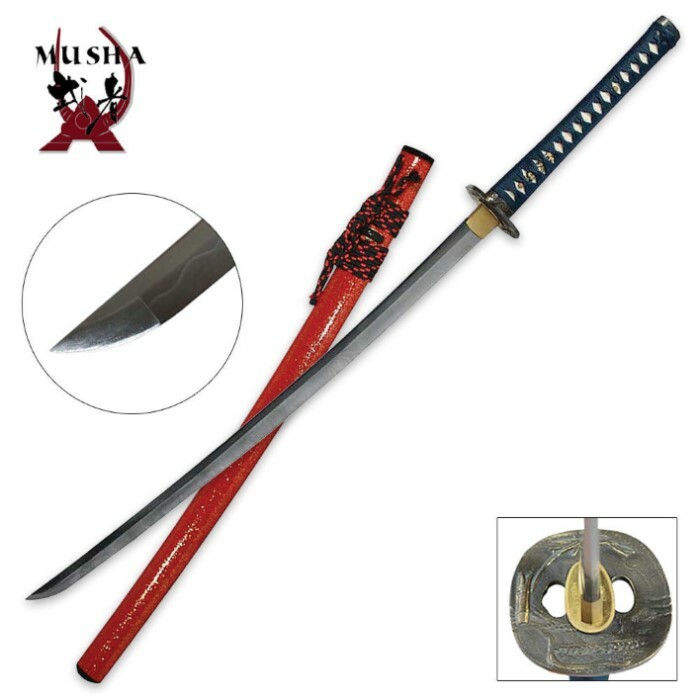 This beautiful sword is a must for your collection! The 1060 carbon steel blade has been hand forged and clay tempered for superior performance. The handle offers genuine hamon and ray skin and a blue cotton cord wrapping. The tsuba and pommel feature highly detailed flower designs. The scabbard is a beautiful red with metallic flakes, to add to the beauty of this sword. Includes a Certificate of Authenticity.